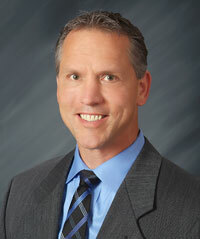 I’m Dr. Robert Baumbick and I am pleased to welcome you to Baumbick Chiropractic. Our mission is to help as many people as possible improve the quality of their lives and obtain optimal health; through chiropractic care, nutritional counseling, and lifestyle modifications. Tour our website, and you’ll find answers to many of the most common questions about chiropractic and natural healthcare. Check out our getting started video and current newsletter! We are a family oriented practice and offer both relief and wellness care to a wide range of patients from children to seniors in their 90’s, using safe, effective and gentle chiropractic techniques. Many patients begin care in our office for chronic pain they may have had for years, or recent injuries that may have occurred at home, work, or in a car accident. Or they may have other health concerns which persist and they are looking for natural alternatives. And get your massage for $35.00 for 1 hour of Relaxation! Whatever your physical complaint, WHY continue to SUFFER? RELIEF may be a phone call away. Call our North Ridgeville office today to schedule a no-obligation appointment. Everyone is very nice and answers questions and explains what they are doing and why. Great! Very friendly staff, showed concern and caring. Looking forward to working with the “team” to get my back up to par and stable again! I have been feeling so much better after getting my adjustments. I used to have so much tension and anxiety and headaches all of which I haven’t had since coming. I’m so pleased with my results! I appreciate the promptness and professionalism of the entire staff. Everyone still manages to make me feel welcome, comfortable and glad to see me, while doing their jobs quickly. Top notch facility I stumbled across. Keep doing what your doing. Great experience. Very pleased with everything. I was impressed with the comprehensive evaluation and explanation of the proposed treatment. You have an amazing staff! Everyone is very polite and helpful! I felt better after one visit to Baumbick Chiropractic than 8 visits of aquatic physical therapy. Everyone in the office is very helpful and Dr. Baumbick explains things in a way that is easily understood.